Council is responsible for the administration of the Dog and Cat management Act 1995 (Part 4), Dog and Cat Management Regulations 2017 (SA) within its area and to promote responsible pet ownership to enable pets and people to live in harmony. Council maintains a Register of dogs within the area and deals with straying, nuisance lost and found dogs. 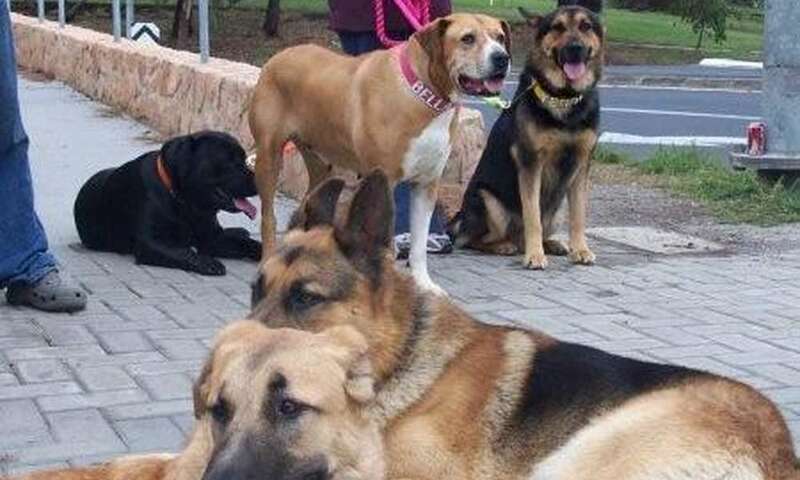 The Act imposes penalties to encourage people to look after their dogs and prevent them from becoming a nuisance. Where an owner cannot or will not control a nuisance dog, Council may impose orders to require appropriate action by that owner. New dogs in the area are to be registered with Council by the age of three months old or within two weeks of moving from another area. If you are moving, please contact Council with your updated contact details. The Dog & Cat Management Board will also be introducing Dog & Cat Reforms as of 1 July 2018 which requires ALL new generations of dogs and cats, (born after 1st July 2018) to be desexed and ALL dogs & cats over a certain age to be microchipped. Please see What you need to know - Dog & Cat Reforms - 1st July 2018. Any lost or found dog or dogs causing a nuisance, wandering at large or responsible for harassing, attacking or chasing should be reported to the General Inspectorate staff immediately on 08 8721 2555. For further information visit Good Dog SA. The Hastings Cunningham Reserve Dog Park was built in 2015 with support and assistance from The Lions Club, The Men’s Shed, Lakes Rotary and by Council Officers and members. The park has been developed for socialisation and exercise of pets and owners in an enclosed area. Avoid bringing toys and food into the park. Please note the owner of a dog is responsible for their dogs actions at all times including whilst in the dog exercise yard. Excessive dog barking can disrupt the quiet enjoyment of adjoining neighbours. Council officers work with complainants and pet owners to investigate, substantiate and address barking dog complaints. Dog owners have a responsibility to ensure their pets are kept under control, with minimal disruption to those living in close proximity. When a barking dog complaint is provided to Council's authorised officers, they give the complainant a diary to record and monitor the barking over a period of time. Authorised officers will work with the owner of the barking dog to determine the cause and give advice regarding the means of keeping it quiet and modifying the dog's behaviour. Authorised officers will handle each complaint on a case to case basis. Please download the Barking Dog Complaint Kit, or alternatively ring us and we can send one to you. Dogs found wandering at large by authorised officers will be returned to the owner (traceable through the registration disc/microchip) whenever possible or delivered to the South East Animal Welfare League. Where a dog is repeatedly found to be wandering at large, the owner will be required to secure the animal such that it is kept under control and continual expiation notices may be issued, or a Control Order issued. Please ensure that your animal is wearing a registration tag at all times to assist in immediate identification and return. From 1 July 2018 your new renewal will contain your animal lifetime registration tag. If you misplace or need a replacement animal registration tag, please call the Dog and Cat Management Board to order a replacement. Alternatively you can have your lifetime animal registration number engraved onto a metal disc from a local supplier. You can receive an expiation if your dog is not wearing their current registration tag. Council provides some dog waste bins in our off leash areas however owners are responsible for carrying their own plastic bags or scooper. There are free doggy bags available in dispensers at the off leash dog parks, and at Council offices. Failure to remove dog faeces can cost you $210. City of Mount Gambier’s By Law of Part 3 – Dog Controls 11. No person is to allow a dog under that persons control, charge or authority to be in a public place or on Local Government Land unless that person has in their possession a bag or other suitable container for the collection and lawful disposal of any faeces that the dog may deposit (for the purpose of complying with their obligation under section 45A (6) of the Dog and Cat Management Act 1995). By Law Breach: $67. All animals born after 1 July 2018 must be desexed as outlined in Dog and Cat management Act 1995 (Part 4), Dog and Cat Management Regulations 2017 (SA). Desexed dogs are much easier to control and any problems are generally easier to overcome due to reduced hormonal responses. Further, desexed animals that find their way into the general environment as wild animals will not increase the population of such animals (eventually becoming feral) with their consequential impact on native animals. Defecating in a public place (unless the person with control of the dog immediately removes and disposes of the faeces). I have lost my dog, what should I do? If your dog goes missing you should contact Council as soon as possible to advise that your dog is missing. If Council has found your dog, it will be held (impounded) for 72 hours to allow you to claim it. If you have not claimed your dog after 72 hours under the Dog and Cat Management Act 1995 the dog becomes the property of the South East Animal Welfare League. The Council is required to post a ‘Notification of Detention of Dog’ The Notification of Detention includes a description of the dog and details about where it was found. You can walk your dog off the leash in designated ‘Off Leash’ areas – Blue Lake Sports Park, Hastings Cunningham Reserve (including dog parks), Frew Park, Don McDonnell Reserve, Corriedale Park & Northumberland Avenue. Outside of these areas, all dogs must be on a leash. If you or your dog is attacked by another dog, once you are safe, try to get as many details as you can about the dog and report the attack to Council as soon as possible. Councils can investigate dog attacks and impose penalties on the dog owner as appropriate. If safe, record the registration tag details or if the owner is present and approachable, get their name, address and telephone number. Record the colour, breed and size of the dog and take a photo if safe. The more information you provide to the Council's Animal Management Officers the more likely it is that they will be able to identify the dog that attacked you. Once registered, does my dog need to wear the registration disc? Yes, it is a requirement of the Dog & Cat Management Act that your dog wears the registration disc securely attached to a collar. An expiation fee may be issued if a dog is found not to be wearing the registration disc. If you misplace or need a replacement animal registration tag, please call the Dog and Cat Management Board to order a replacement. Alternatively you can have your lifetime animal registration number engraved onto a metal disc from a local supplier. I have found a wandering / lost dog – what should I do? Council officers are available 24 hours to collect wandering / lost dogs that have been restrained. Please call the Council / After Hours Call Centre on 08 8721 2555.